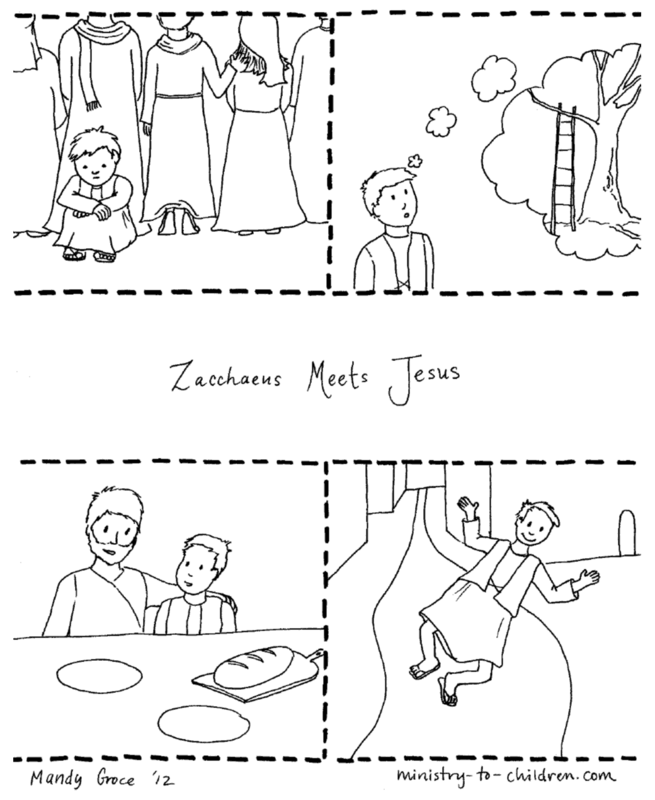 This free coloring page will help teach the story of Zacchaeus and Jesus from Luke 19:2-10. 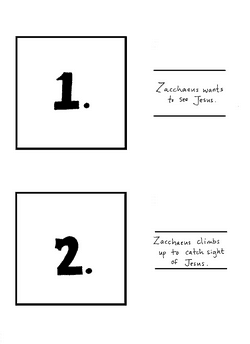 It has four panels that break the story into brief sequenced cards. Click on the preview image to the right or use the following links. Print enough sheets for each child to have one of each. Then allow them to decorate the main story page with crayons or colored pencils. 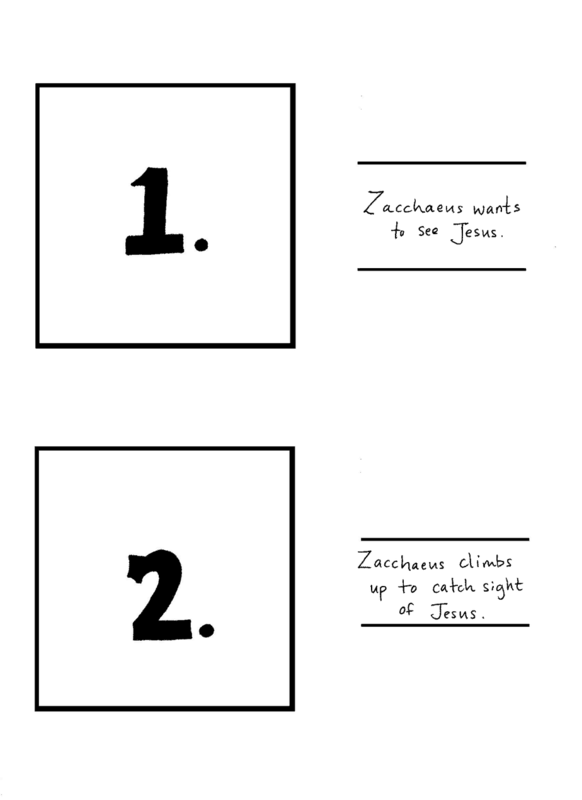 Once complete, they can cut along the dotted lines and then attach the story cards to the numbered sheets. 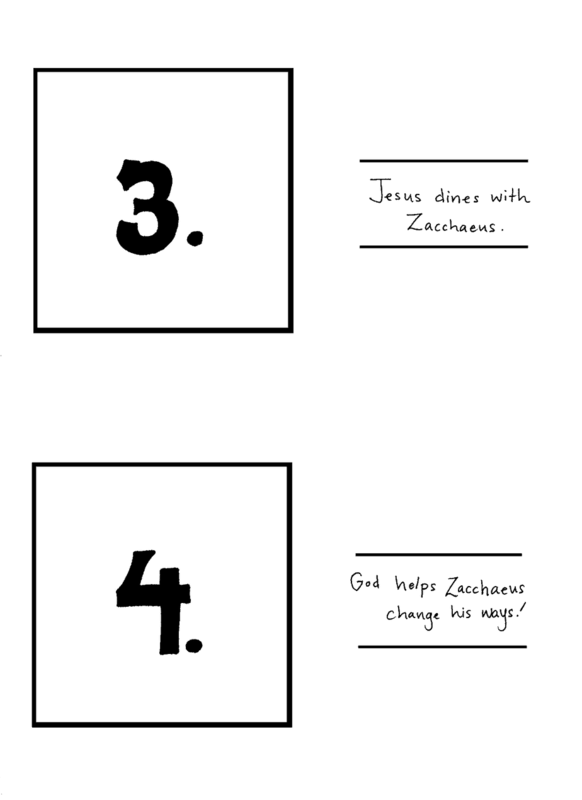 For nice framed effect, print the numbered sheets out on a colored card-stock paper. 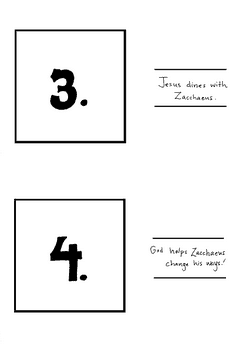 If you enjoy this storyboard, be sure to browse all of Mandy’s sequenced Bible story pages. 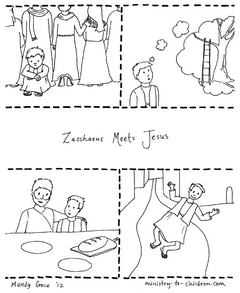 We also have a growing collection of free Bible story printables. Tony Kummer (Editor) reviewed & updated this page on : June 30, 2012 at 11:07 am. All our content is peer reviewed by our readers, simply leave a comment on any post suggest an update.